The FA30 Automatic Identification System (AIS) Receiver provides real-time information about AIS-equipped vessels to your NavNet vx2, AIS-ready chart plotter, navigation software or radar. The information is graphically presented allowing you to monitor and avoid AIS equipped vessels in your area. The information that the FA30 receives includes the vessel name and call sign, position, course, speed over ground, and other useful information. Since AIS targets can be received even if they are not within line of sight, the FA30 enhances situational awareness in congested waterways, limited visibility or heavy sea conditions, and gives the navigator much more information about AIS equipped vessels. 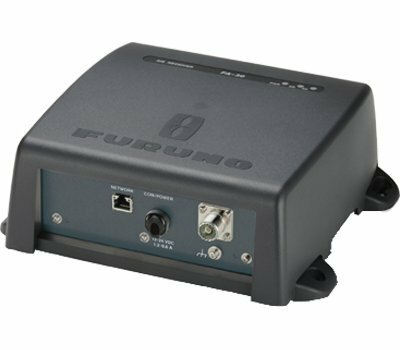 The FA30 has an Ethernet and a serial port. This provides simple and easy connection by Ethernet to Navnet VX2 and NavNet 3D systems, MaxSea NavNet Navigation software, and the MaxSea AIS viewer PC software that is included with the FA30. AIS capable radar, chart plotters and Non-Navnet versions of MaxSea are interfaced through the FA-30 serial port. The FA-30 will work with virtually any marine VHF antenna. An optional VHF signal splitter is offered to allow the FA-30 to work with an existing VHF radio antenna installation. If you have any questions about this product by Furuno, contact us by completing and submitting the form below. If you are looking for a specif part number, please include it with your message.